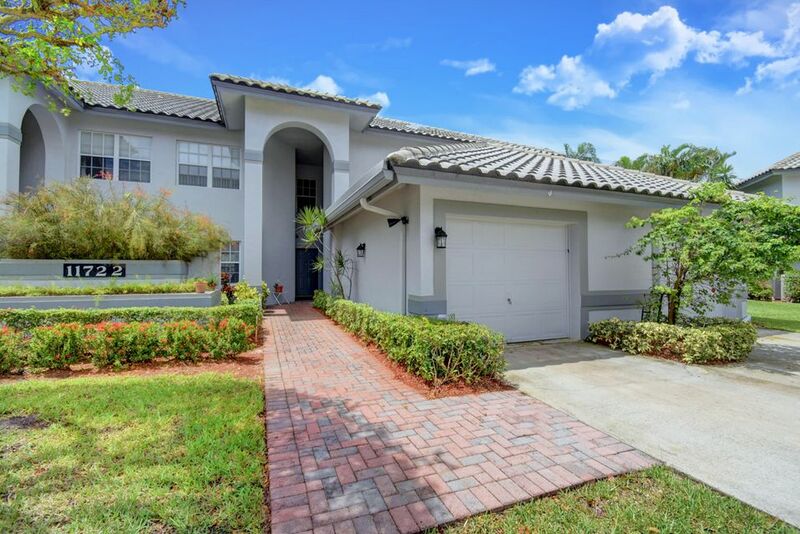 Located in Boynton Beach, Florida, Indian Springs Country Club, is a guard gated Active Adult (age 55 and over) private country club with homes and condos, that has the total package: championship golf, tennis, fitness, casual and formal dining. The sporting and social venues include two championship golf courses, 26 Har-Tru™ tennis courts (including a stadium court with canopied seating), top of the notch fitness facilities (for weight, cardio and aerobics training). A variety of resident and non-resident memberships are available. Club membership is not mandatory. The average size of a home in Indian Springs ranges from 1,246 to 3,811 square feet. Many are cinder block construction with concrete roof, curved tile roof, flat roof. Some homes in Indian Springs feature hurricane shutters, swimming pool, screened-porch, vaulted ceilings, roman tub, French doors, pantry, foyer, walk-in closets, carpeting, ceramic tile and wood floors, cooking island, granite counter tops, refrigerator, disposal, washer, dryer, and dishwasher. Maintenance includes cable television, upkeep of common area, trash removal, lawn and land maintenance, and security. The Fitness Center includes the latest gym equipment such as the Startrac™ units, treadmills, stationary bikes (both traditional and recumbent) and elliptical cross trainers. Start a weight-training program with a full line of Body Master™ stations or choose from a wide selection of free weights. Personal trainers are available. Classes will be fitted to you appropriately whether you are a beginner or experienced. There is a state-of-the-art aerobics program, including daily aerobics in the Olympic pool which is heated in cooler months and has a dedicated lap lane. The 52,000 sq ft clubhouse has card rooms, special interest clubs, watercolor and clay sculpting classes, guided day trips to local attractions, entertainment and shows, gala dinner dances and cocktail hours. Enjoy casual and fine dining in the restaurants, and enjoy the lounge and 19th hole bar! Play on 2 new championship golf courses, 2500+ sq ft golf pro shop, computerized tee time, tournament and handicap systems. Lease OK with restrictions, up to 2 pets, no truck/rv. Security Patrol. Entrance gate is on Woolbright, west of Military Trail, easy access to I-95.